Weathercloud Beta 4.5 is Here! What’s the weather like? Now you can check it quickly and easily on Weathercloud! Many of you have requested this feature, and we’re so happy to bring it in Beta 4.5. 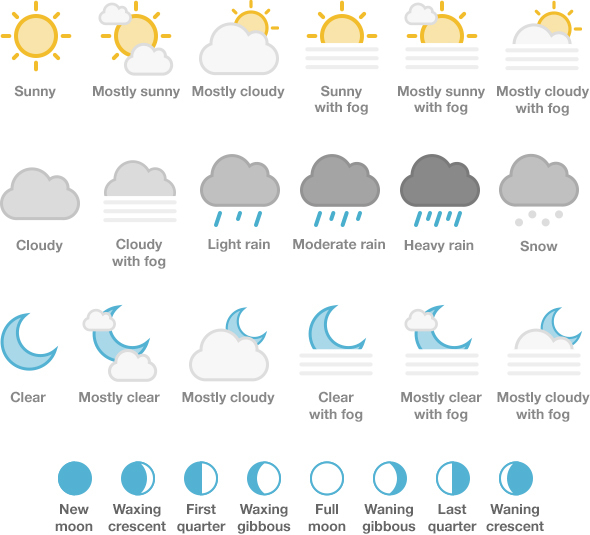 From today all devices display present weather information on their profile page, including current weather condition, temperature, ‘feels like’ temperature with danger indicator, wind speed and direction, atmospheric pressure and cloud base, which is the altitude of the lowest layer of a general mass of clouds. In addition, we have included an almanac displaying the moon phase, as well as sunrise and sunset times for that specific location. This new feature tells you how many people have viewed each of your devices during the last 30 days. You will find this information on your device management page, as shown in the picture below. Be aware that counters have been activated today (July 20, 2015), so be patient! ;) To learn more about how device views are computed, please check out our FAQ page. The gallery has been redesigned from scratch to make it look better and to improve usability. The display order has remained the same (webcam > pictures > location), but the new design allows for slightly larger pictures (520 x 480 px recommended), and lets you jump from the webcam and location tabs to any specific picture, unlike the earlier version, in which you always had to pass through picture 1 before moving to another. In addition to this, pictures are now automatically cropped if they exceed the maximum dimensions, or either retain their original size if they’re smaller, so you’ll no longer see distorted pictures on the network. 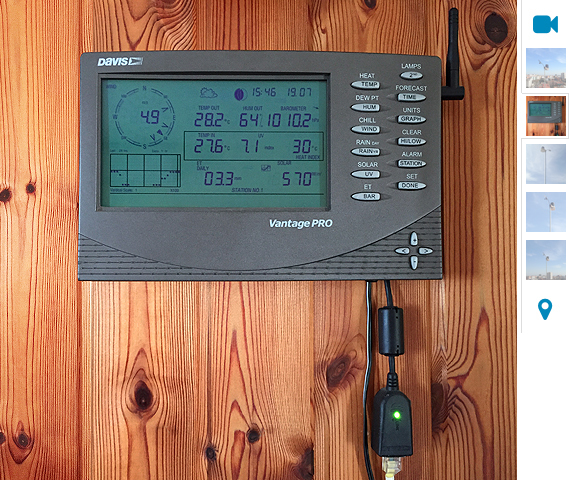 We encourage you to upload pictures of your weather station as this will make your page look much more appealing to the eye, and tell users more about the place and the way it’s installed. The device management page has undergone minor changes to make it more useful. The variables now show the current values, allowing you to check them right away and also to compare multiple devices if you have more than one. Besides that, some design changes have been done here and there in order to improve the page layout. Added decimals to the atmospheric pressure value when displayed in inHg in the map infoboxes. Added the currently selected unit to the variables in the device managment screen. Changed the rain value for rain rate in the map infoboxes. Updated the FAQ page with new information. That’s all for now guys! We hope you like the new features included in Beta 4.5 and, as always, we’ll really appreciate any feedback you may have on them. Also, don’t forget to follow us on the social networks to get the latest news on Weathercloud right away. Thanks and have fun! Where do I get the download for the new version? Hi Paul, the new features have been added to our site, so you don’t need to download anything in order to use them. SINCE THE NEW UPDATES OVER THE LAST WEEK WEATHERCLOUD NO LONGER WORKS WITH SAFARI. I CAN’T SIGN IN. IT WORKS WITH CHROME HOWEVER. Thanks for the warning Robert, now you should be able to access the site as usual.